Upcoming events and here they come! We try to post upcoming events of interest on our Calendar. Please click the "Calendar" tab above to view them and be sure to check back! 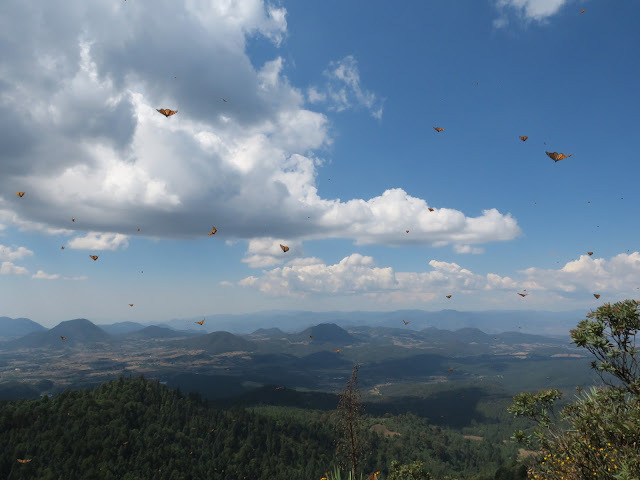 The monarchs are starting to leave their winter home in Mexico to fly north. Read this post from Journey North - "Here they come!" 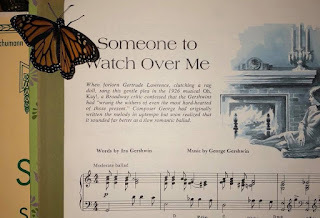 Please read information on the below link from Chip Taylor of Monarch Watch concerning the controversy on whether to raise or not to raise Monarch Butterflies from eggs and caterpillars. 3) think about raising the migrating generation outdoors to acclimatize them to natural conditions. 4) think about changing part of your priorities to planting, planting, planting milkweed and pollinator plants. Especially pollinators that bloom in the autumn for migrating monarchs to fuel up on! 5) think about sharing your enthusiasm with friends and neighbors, schools, churches, clubs and organizations - especially about planting milkweed! Thanks to MEI member, J. Ross, for the photo. 2018 has been a banner year for Monarchs in Eastern Iowa! Our dedicated members raised and released a whopping 21,036 monarchs from eggs and caterpillars this year. This total surpassed the past 4 years (2014-2017) cumulative total of 18,321 raised monarchs. In the five years of our group's existence members have raised over 39,000 monarchs. This shows OUTSTANDING dedication and effort! This year we added 300 members bringing our total membership to 1400. Each year members voluntarily fill out information they have collected. Please note that not all members kept track of their activities. - Helped sponsor a presentation, "The Monarchs are Coming", by Debbie Jackson, Monarch Watch Conservation Specialist, at Indian Creek Nature Center along with an information table. - Manned information and milkweed/pollinator plant give-away tables and volunteered at Indian Creek Nature Center's "Monarch Fest". Harvested milkweed leaves from a local prairie and supplied caterpillars and eggs for the ICNC Monarch Festival as well as their children's programs throughout the season. - Many presentations, slide shows, and talks by members to groups and in classrooms. - Held a milkweed and pollinator seed exchange in the fall in Ely, Iowa, for members and the public. - Facilitated several presentations about Monarchs in Mexico by Ellen Sharp, Cultural anthropologist, who lives at the entry of Cerro Pelon, a Monarch Butterfly Sanctuary in Mexico, and is co-owner of JM Butterfly B&B and director of Butterflies & Their People, A.C. Thank you, thank you, thank you all for supporting our beautiful monarchs as we look forward to the new year! Plan to PLANT MORE MILKWEED & PLANT MORE POLLINATOR PLANTS for 2019! Not long ago, monarch butterflies could often be seen in Iowa. They are disappearing because of the lack of habitat and an essential food source - MILKWEED. There are simple methods to reverse this trend and YOU can make a difference! The most important thing you can do is ... PLANT MILKWEED. It is the ONLY thing that Monarch caterpillars can eat. Also plant other nectar plants native to your region -- and avoid using herbicides & pesticides of any kind. Please explore our website for resources that you can use to help make eastern Iowa a more successful way station for Monarchs on their way north, and on their way back south in the fall. Monarchs in Eastern Iowa - Who are we? Founded in March, 2014, we are a group of eastern Iowans working to share information and encourage others to create habitat for Monarch butterflies in eastern Iowa. 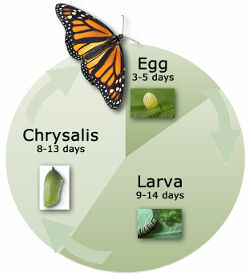 We encourage raising eggs & caterpillars and releasing glorious Monarchs, thus increasing their overall numbers. In 2014 our small group raised about 1400 Monarch butterflies and released them! As of the end of 2018 we have raised & released over 39,000 Monarchs! If you are from the eastern Iowa region and wish to join our Facebook group "Monarchs in Eastern Iowa" CLICK HERE for information. Blog by B. Horak for Monarchs in Eastern Iowa..... Simple theme. Powered by Blogger.